The Yom Kippur service is unique in many ways. One of its features is the special offering of the ketoret (incense), which was normally burnt on the golden altar, but on Yom Kippur was placed on a pan in the Holy of Holies. The Torah is explicit regarding the central role played by this ketoret as a factor that enables Aharon to enter the Holy of Holies. The Torah describes the question that children will one day ask their parents after settling in the Land of Israel: "What is this service to you?" By understanding this question and the answer prescribed by the Torah, we can learn the appropriate response to similar questions in our own day and age. We stand in shock and in pain upon hearing official word of the identification of our talmid, Sergeant Zecharia Baumel HY"D. Zach went out to war, together with his friends from our beit midrash, to fight in the battle of Sultan Yacoub 37 years ago. His remains return to us now. May this be a consolation for his dear family. Yehi zichro baruch. COME JOIN US FOR A MORNING OF SHIURIM IN HONOR OF THE FOURTH YAHRZEIT OF MOREINU VE-RABBEINU HARAV AHARON LICHTENSTEIN ZT"L.
Shiurim by our alumni Rabbi Nathaniel Helfgot and Rabbi Menachem Genack. 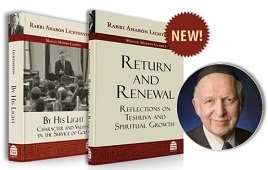 Rosh Chodesh Iyar - Sunday May 5th at Congregation Netivot Shalom, Teaneck, NJ. For details, click here. 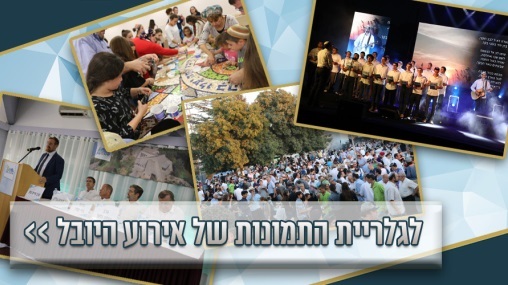 This year's Annual Etzion Foundation Dinner was preceded by an Education and Leadership conference. Faculty, alumni and alumnae in communal leadership positions addressed the contemporary challenges impacting the Jewish community in Israel and the Diaspora today. We will post links to these sessions soon. Click here for details. upon receiving Semicha this month! Yeshiva Ram Rav Yishai Jeselson; Former madrich bnei chul Ariel Brounstein ’05H; Uriya Dor ’09H; Yaniv Elmaliach ’09H; Gatacho Barhano ’13K; Yehuda Baras ’08H; Dvir Baris ’09H; Daniel Reutlinger ’13K. Yishar Koach! Zman Choref has begun with a palpable level of excitement, talmidim experiencing the thrill of learning, building off the momentum of the Yamim Noraim, and recharged from the short bein hazmanim right before the zman. This year in particular we are on a particular high due to the special programming during Bein Hazmanim. to watch this taste of the day's festivities!! On Thursday of Chol Hamoed Sukkot more than 4000 people ascended to Yeshivat Har Etzion for a day geared for the whole family. From 12-5 there were shiurim, panels, and parent-child learning, as well as activities for younger children including 7 bouncy castles, pita baking, and more. 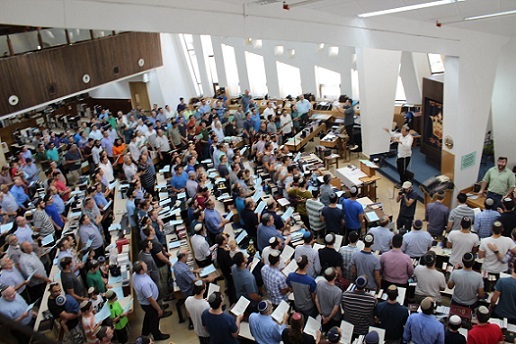 At 5 all the alumni gathered in the Beit Midrash and heard a “5-minute” talk from all 3 Roshei Yeshiva about their vision for the future of the yeshiva. After that, everyone walked over to the nearby municipality hilltop for the ending ceremony. The ending ceremony was a very moving event, including songs by the choir, short remarks from the 3 Roshei Yeshiva and Yeshiva founder Moshe “Moshko” Moskovic, and a few short presentations, as well as 5 short videos. It is an interesting reflection of our values as they were: 1. A video about the deep and long-lasting friendships formed in Yeshiva, 2. 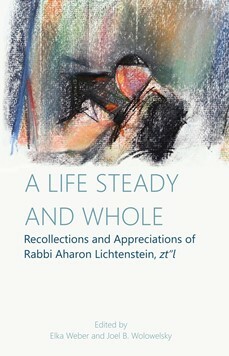 A tribute to alumni serving in the Rabbinate, 3. A salute to Har Etzion overseas alumni who made aliya, 4. A tribute to the Yeshiva’s dedicated office, kitchen, and maintenance staff, and 5. 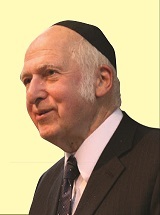 A video about the founding Roshei Yeshiva: HaRav Yehuda Amital zt”l and HaRav Aharon Lichtenstein zt”l. It also included a video of the Yeshiva's Kululam - Beron Yachad Song Fest of our Favorite Songs (made in Elul of Yeshiva talmidim and bogrim singing Yeshiva niggunim in the Beit Midrash.) If you couldn't participate, or even if you did - relive it now! CLICK BELOW FOR THE GALLERY OF PICTURES OF THIS SPECIAL EVENT! What opportunities are there for special-needs high school graduates who also want to have a year in Israel - and a fulfilling life after that? Read about the remarkable Ohr Torah Stone’s Elaine & Norm Brodsky Darkaynu Program, whose male division takes place in Yeshivat Har Etzion. "The perspective you get from them is unique," says alumnus Dovi. "In fact, it puts in perspective why you are learning at all."